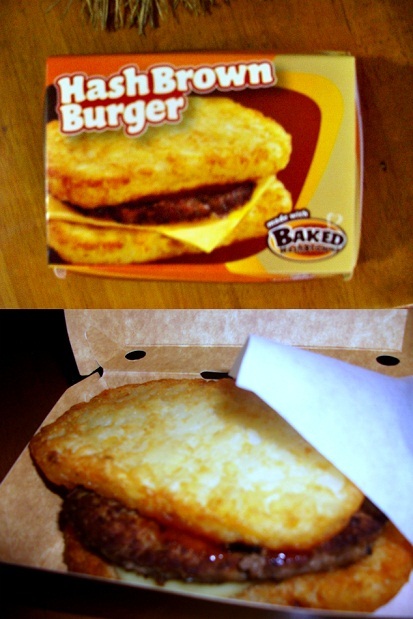 We ordered Jollibee earlier and I decided to get the Hash Brown Burger. It reminded me of the Tower Burger from KFC but the latter just disappointed me so much to the point I didn't finish the food. I was quite skeptical at first on how this would turn out because really, the only hash brown I ever ate was from McDonald's and hash brown isn't particularly Filipino food. Plus the fact that it's only hash brown topped with cheese topped with a burger patty topped with another hash brown. But hey! It tasted really, really good. The hash brown was thick enough (BTW, not too greasy like McD's) but not super thick to the point it overpowers the taste of the beef. It was good and I'm planning to order again soon. Hahaha. And actually, the simple combination of hash brown-cheese-patty-ketchup suites me well.